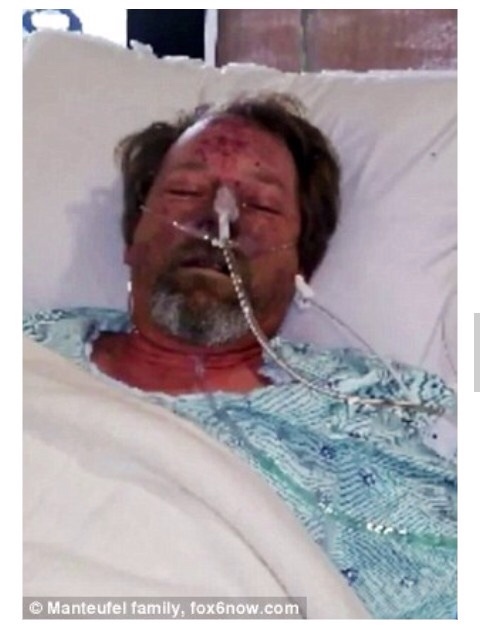 Home / Unlabelled / INFECTION: Man Looses All His Limbs After Getting Licked By A Dog. INFECTION: Man Looses All His Limbs After Getting Licked By A Dog. Last month, Greg Manteufel, from West Bend, started experiencing flu-like symptoms including fever, vomiting and diarrhea. 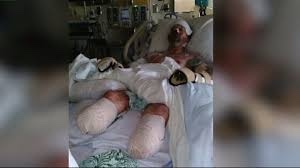 Doctors told him a blood infection had spread to all four of his limbs and, due extensive tissue and muscle damage, they would be forced to amputate all of his limbs. Doctors ran blood tests and discovered he'd become infected with a bacterial pathogen known as capnocytophaga canimorsus. One 2014 study from Japan found the bacteria to be present in 69 percent of dogs and 54 percent of cats. The bacteria can be transmitted to humans through bites, licks, or even close proximity with the animal - seeping into the skin even without a cut or scrape. Within a week of being in the hospital, doctors first amputated Greg's feet and then his legs up to his kneecaps. Then, three weeks after he was first admitted, both of Greg's hands up to his mid palms were amputated. 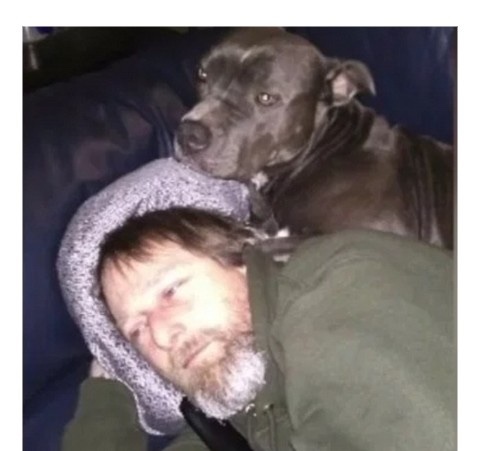 'We can't wrap our heads around it that all of a sudden, he's 48 years old and been around dogs all of his life, and then this happens,' she said. Dr Silvia Munoz-Price, an infectious disease specialist with Froedtert and the Medical College of Wisconsin, told WITI that Greg's immune system response to the infection resulted in his blood pressure dropping and decreased circulation in his limbs. 'More than 99 percent of the people that have dogs will never have this issue. It's just [a fluke],' said Dr Munoz-Price. '[He] kept saying to the doctors: "Take what you need but keep me alive." And they did it. Surprisingly enough, they did do it,' she said. 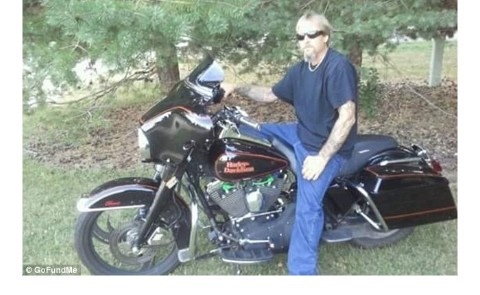 A family friend has started a GoFundMe page to raise money to help cover his mountain medical bills. So far, more than $18,100 has been raised out of a $25,000 goal.